And so we discover why Doctor Haas names his robots for poets: his own name is Virgil. (And his communications robot, Dryden, is named for the poet who translated Virgil's Aeneid.) 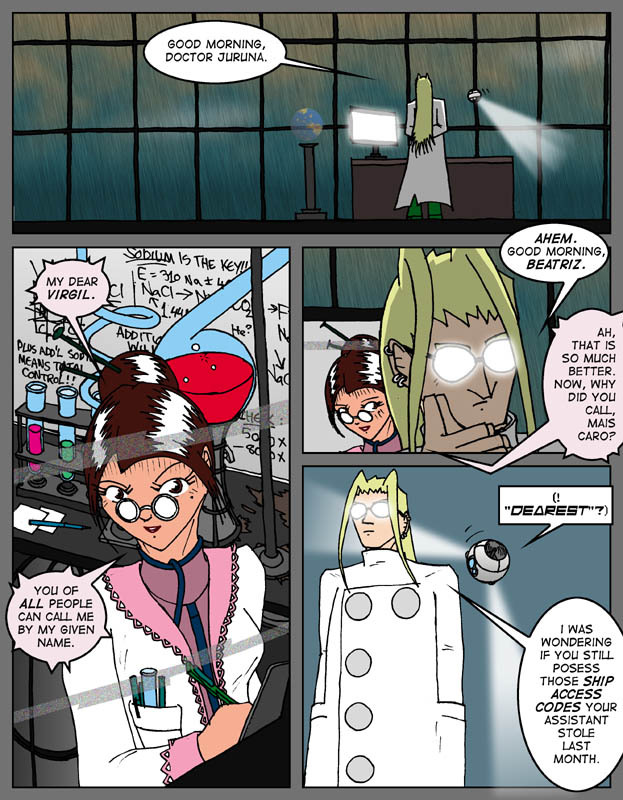 In other news, we learn that mad scientists have social lives, and that a mad chemist has a crush on Haas. I'd like to add that Mark did a great job on Dr. Juruna. While I would be the last to deny Dr. Juruna's scorching hotness, I'm actually more proud of the CG rain effect outside Casa Haas. Definitely an improvement over past efforts.